I’m Lillian Alberti. I am an ART Doll artist and ODACA member. 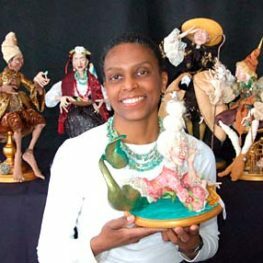 I have been creating ART dolls for over 25 years and my work has been featured in many doll related publications both in the US and in UK. I feel blessed to be able to travel and teach doll making workshops across the country. The thrill in creating, and the joy in sharing has made my doll making journey more fulfilling than ever!